Few decorations have the elegance that glass has. 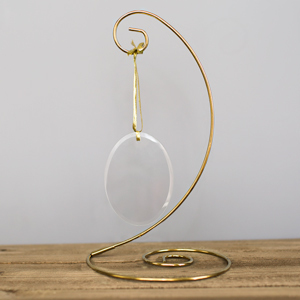 Its fragileness is a sign of how precious it is. 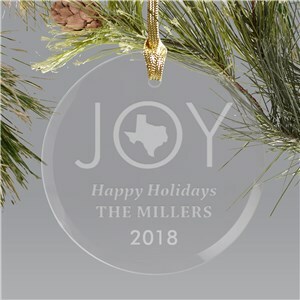 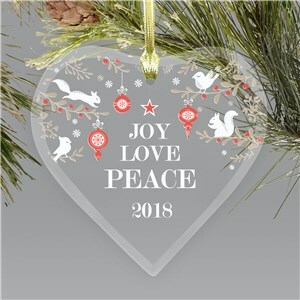 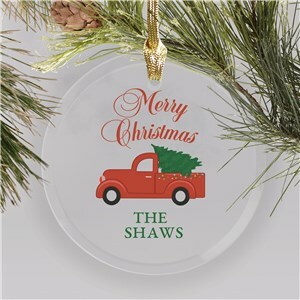 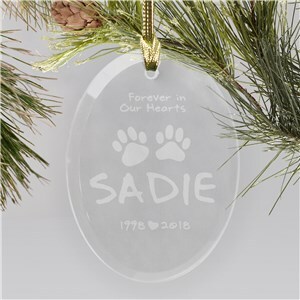 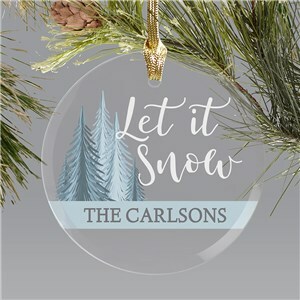 Elegantly show how precious someone is to you this year with personalized Glass Christmas Ornaments from GiftsForYouNow. Your loving message won’t be hidden inside anymore, it will be transparent for the world to see, engraved on personalized glass Ornaments. 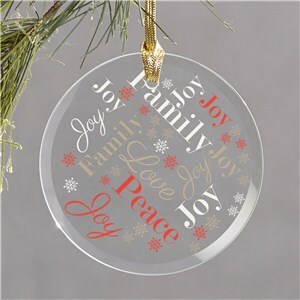 A very beautiful way to decorate a Christmas tree is with ornaments. Outfitting the tree with Christmas tree ornaments is a very festive way to spruce up your holiday season. 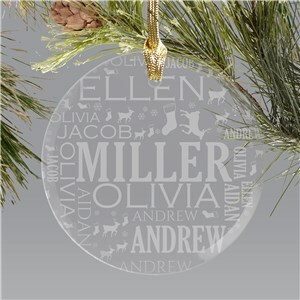 The chic material of glass can be your little windows to the world displayed all over your Christmas tree. When you want to show someone in your family that how much you love them, one way to do it is to put it out there for the world to see. By getting them a glass Christmas ornament, you can show everyone how important those that you love are to you. Show how much you care with the beauty of glass, and let your feelings be as crystal clear as the meaningful ornaments that say what you are feeling. 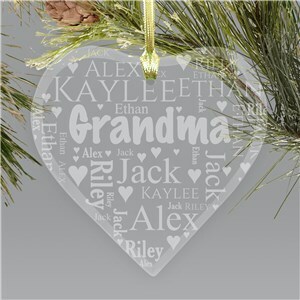 Christmas is the perfect time to let show how much the people and things that make your life special mean to you. A great way to display that is by putting a heartfelt message onto a Christmas ornament. 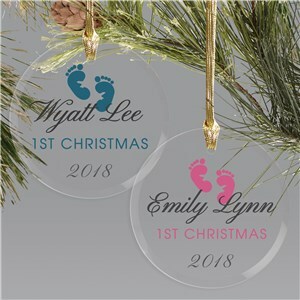 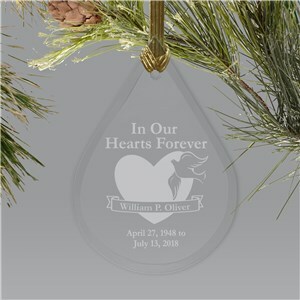 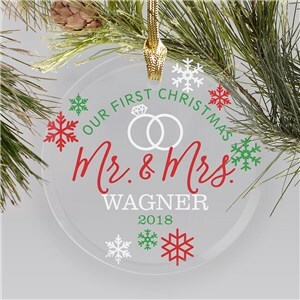 With one of the many engraved glass Christmas ornaments, being proud of your faith, honoring your grandfather, or praising your children has never looked better. 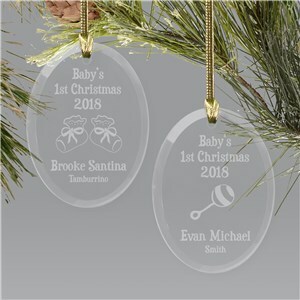 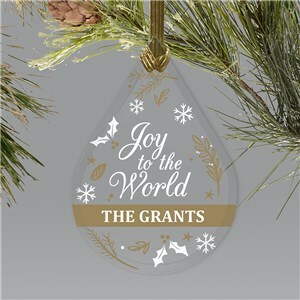 GiftsForYouNow.com will have a Glass Christmas Ornament ready to be personalized for the holiday messages you want to have said on your Christmas tree this year. 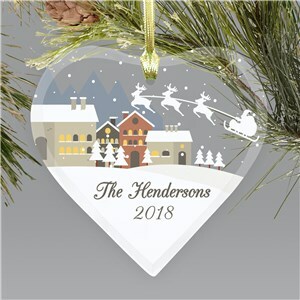 Check out even more tree decorations! We have personalized Christmas ornaments for everyone on your list, and Christmas Stockings to hang with care this year!